Did you find a spider that is nothing like any you have seen before? Or maybe you see the spider all the time and finally just want to learn more about it. Well, I am sad to inform you that like everything else in this world, there are rules to abide by. Please follow the rules below as much as you can. Please leave the following info in the body of the email. 1) First and Last name. 2) City and State where the spider was found. 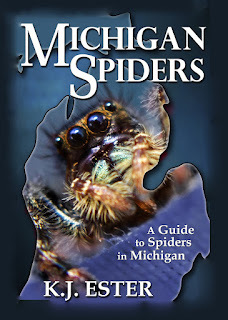 (If you are from outside of Michigan, please send it to (Spiderguide@hotmail.com) instead. 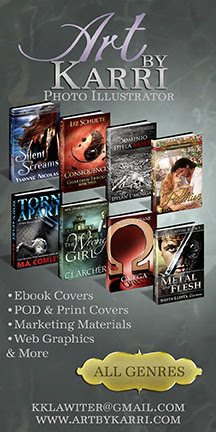 WARNING -- By sending me a picture, you are giving me permission to use the picture in one of my sites, or in my book, if I should choose to do so. Any pictures I use, I will place your name and city where it was found beneath the picture as the photographer. Most people do not mind this, but if you should for some reason not wish me to use either your first or last name, the city you put in the email, or even the picture itself, you must make it clear what you do not wish me to use. If by chance I make a mistake and use the wrong info, please email me and I will correct it. The more detail the better. When trying to identify spiders by pictures, I prefer to see pictures looking at the top of the spider. If I can see the shape of the two body parts, the colors, and the markings, it will go a long way to getting the spider correctly identified. If you have a good enough camera and are not afraid to get a good close macro shot of its eye pattern, that can also help immensely. Please attach the picture as its own file to the email. If I open the email and can see the picture in with where you would write a message, this often works against me. The problem with it is that I cannot zoom into the picture while it is in the email and if I save it from the email, it will save it the same size as I see it in the email. So when I do zoom in then, it will pixilate immediately. Most pictures are larger files so that if you look at it at 100%, it is much larger than the screen. That is what I want. The original picture file attached to the email, for me to download to my spider pictures folder. That way when I open it in a viewer, I can zoom in and see more detail before it pixilates. However, if you do send it in a way I do not like and I ask for it differently, please do not feel offended. I am never upset with any picture. I just might ask for it in a different way in order to better my chances of helping you. And if you for some reason cannot do it the way I ask, just let me know and I will give you the best answer I can with what I got. Another reason I like the pictures of spiders as attached files, is because it allows me to look through my emails and find the emails with attachments easier. -- Files attached to emails. -- Tops of spiders and possibly eye patterns are most important. -- The clearer the better. The blurrier it is, the harder it is for me to identify. -- A picture of the web is sometimes helpful too. -- Colors and markings on the abdomen, front body part, and legs. -- Are the legs banded or a solid color? -- Are the legs super thin or thick? -- Do the legs have spiny hairs on them? -- Describe the web (if a web is present). Keep in mind that it can be extremely difficult to identify a spider by a description. Most cases will likely end up nothing more than a possible ID and a pure guess. Often, not even that much. There are simply too many spiders that can look too much like others and it would be just a tiny mark or shape that might tell me what it is. Even with a good clear detailed picture, there or times when I cannot help. But you have my word, I will always do my best. This will not happen too often. It is only in certain circumstances where I will give my address out to someone to send me a spider. Usually, these extreme cases are because it happens to be a spider I really want to look at. Far more often, if I cannot identify it and it is important enough to you are to me, I will give you the info to send the specimen to an entomologist I am in contact with, as they have far more knowledge than I do and can put it under the microscope to look at the genitalia in order to give a 100% positive identification.